Did you know that April is ‘stress awareness month’? It seems like everyone is stressed out these days. Stressful jobs, commutes, schedules. However, most moms can agree that motherhood is a whole other level of stress! It is a 24/7 job that never ends. Yet, it is also the most rewarding job we could ever be blessed to have. We have learned over the years, that if you don’t take care of yourself (both physically and emotionally), you will have very little to offer your children. To be a great mom, it’s important to remember not to neglect your own needs. When you take the time to nurture yourself, you will in turn be a healthier, happier parent. Our absolute favorite way to de-stress and pamper ourselves is to get a massage. You can’t buy happiness…but you can buy a massage…which is pretty much the same thing! In 2006, a massage therapist in Colorado became the launching pad for the first massage therapist-inspired, national brand called Elements Massage. The concept was born as a therapist and client focused business, striving to connect clients with the right therapist, to not only give the client what they are looking for from their massage, but also to allow the therapist to provide a massage that fits their strengths as a therapist. This concept is exactly what translated to an amazing massage. Upon booking an appointment, the polite receptionist asked specific questions about massage preferences and was able to perfectly match those needs with a massage therapist who specialized in those massage techniques. Hands-down best massage ever! Elements Massage believes that the on-going physical and emotional benefits that come from personalized massage care should be accessible and attainable for everyone. They leverage their matchless expertise to provide customized care and accessibility that empowers their clients to easily and authentically rejuvenate their lives. Elements Massage now has over 250 studios in 36 states across the country, 8 of which are in the Bay Area. Recently, the brand was voted “The Best Place to Get A Massage in the East Bay” by readers of The East Bay Times. In addition to providing the most personalized massage handcrafted just the for the client, they further differentiate their brand from others in the industry by exclusively focusing on therapeutic massage services. This personalized expertise helps them to be the best in the business. What is truly special about this business is their Wellness Program. This month-to-month membership grants each client one massage session per month. It also allows as many additional sessions as desired at the discounted member rate. There is no long-term contract and members may opt out at any time with a 30-day notice. If you skip a month, the session simply rolls over to the following month at no additional charge. Furthermore, The Elements Wellness Program may also be shared with a designated Associate Member (family member, friend, etc) so you can both share in the membership benefits. Lastly, clients visiting Elements for the first time will receive the discounted Wellness Program rate (saving $30-$50 on the first massage session). 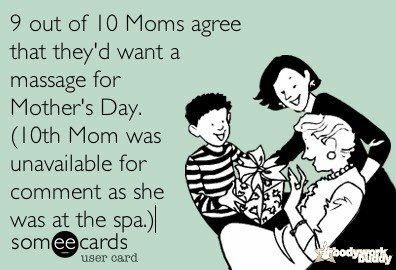 If you choose to join the no-fee Wellness Program, you will be able to take advantage of their Mother’s Day gift card promotion (to save $10-$20 on gift cards (which is a savings on top of the Wellness Program discount).This May, we recommend a massage gift card as the perfect Mother’s Day gift. Get one for your mom, your mother-in-law or just treat yo’ self! Check out the promotions at Elements Massage. Thank you to Elements Massage for the complimentary massage. However, the opinion and review are our own. Yes! Massages are the best! Will have to check out Elements! Love the wellness program idea. Very cool!